The simple joys of homemaking can be found in things right from our pantry. Things like Coconut Oil, Vinegar, Baking Soda, etc. I know these may sound a little old fashioned but they do hold such benefits for various purposes around the home. In any event, today’s discussion is not about vinegar or baking soda or any other pantry staple, but about coconut oil. Growing up, it was one of the staples in our kitchen. My family made it from scratch and it makes food delicious and gives it a unique taste. But many times, you could find it used as a skin or hair care. Now that I do my own homemaking, you can find coconut oil not only in my kitchen but also in my bathroom. Although, mine is usually the store-bought version rather than the homemade ones I grew up knowing. Side note: We took a trip to visit my mom and one of the things I wanted to take back with me is a bottle of coconut oil. Could you believe I forgot that??? In any event, I am a bit surprised by how many people are turning to simple things like coconut oil for home and health care lately. To be honest, I thought it was just a Caribbean thing that other people wouldn’t be too interest in. We’re not going to dive into the many uses of it but here are a few ways I use it around the house, just to give you a start. Generally, it really doesn’t need help for the things listed but I do mix it with other natural products like Shea Butter and essential oils for added effects on stubborn areas or depending on what I need it for. 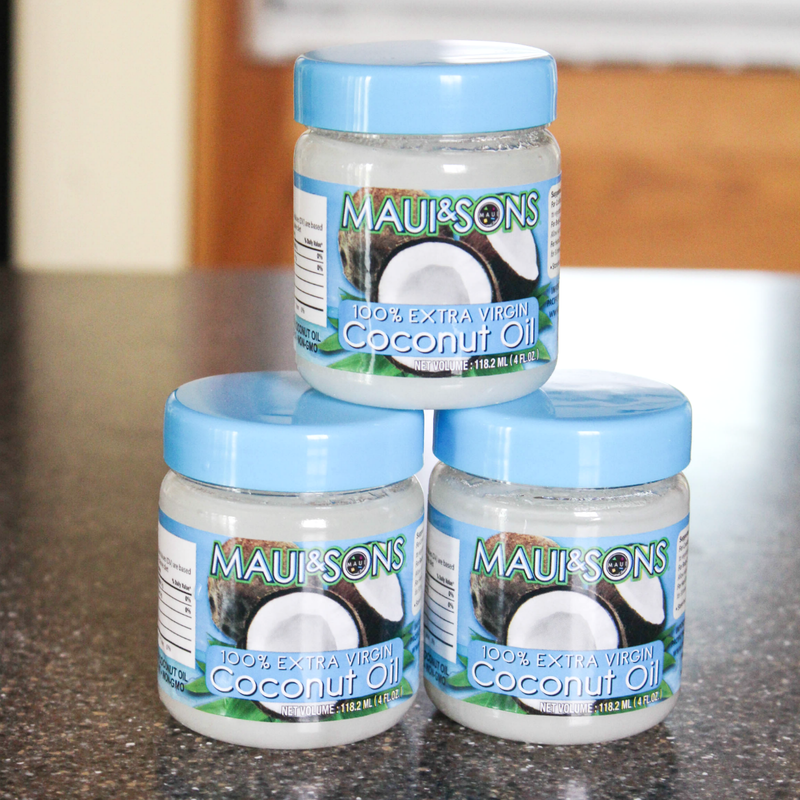 In foods or intake: There is nothing like the taste of coconut oil in foods. Depending on what the food is you may get a slight taste of the oil. I use it in foods like rice, vegetables, granola, oatmeal, etc. My mom pretty much used it in every meal. 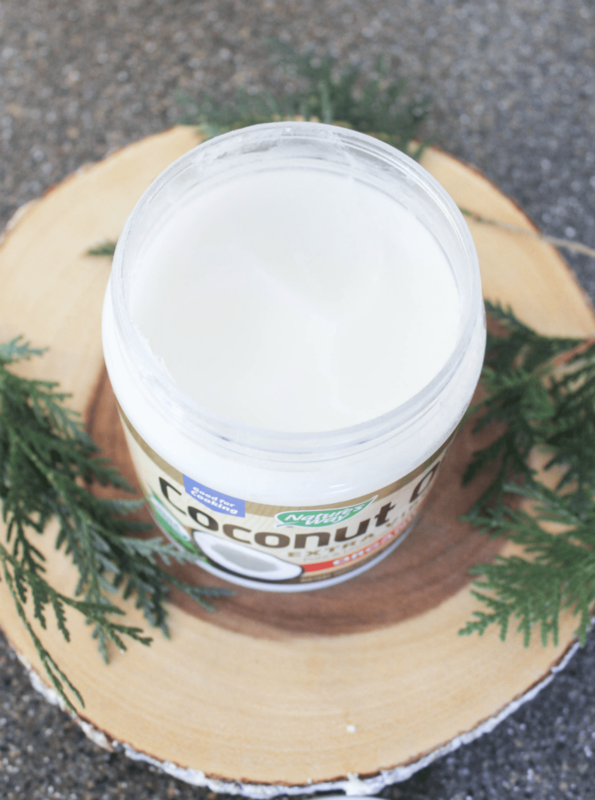 It truly is a staple there – after all, coconut trees are grown right in the yard! You can also drink a teaspoon or tablespoon (if you could stomach it) as a means of health. Skin sooth: One kid or another frequently gets some kind of scratch, bruise, bump, burns, rashes or things of that nature on their skin. I use coconut oil to sooth their skin immediately. 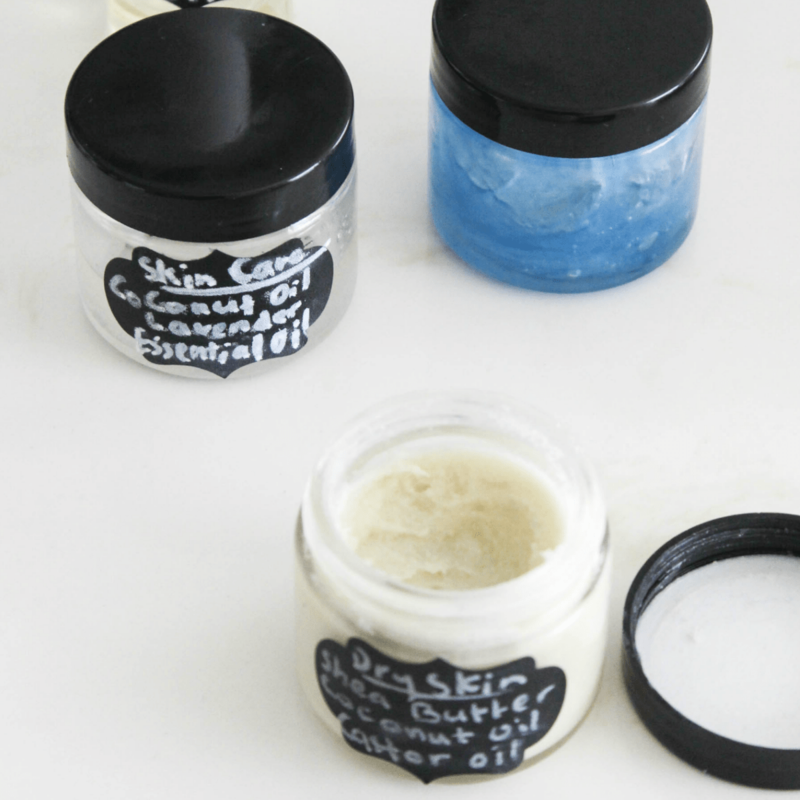 Dry skin: I make a mixture of coconut oil with some essential oil to keep on hand. I keep a small jar of coconut oil mixed with Lavender essential oil in an upstairs bathroom and another one downstairs. I use it to help with dry, itchy skin. Also, I often use this mixture on my eyelashes to help them get fuller. As a face moisturizer: I often rub coconut oil on my face (usually 2x daily) for extra moisture, paying attention to fine lines that are visual, too. Lips: You can find me using it as a lip balm regularly. Sometimes a kid may have a bit of dry lips so I apply some to their lips, too. Nails: Shiny beautiful nails could also result from applying coconut oil. Bath Salts and Sugar Scrubs: Mix some into sugar scrubs for extra smoothness and moisture. Or you can also add some to your bath salt mixture. Lotion or everyday moisturizer: If you’re just not a fan of all that natural stuff, you could mix some into your everyday lotion. Hair: Use on your hair for extra treatment or add to your hair products. I mean a little coconut oil is good for your hair, too. 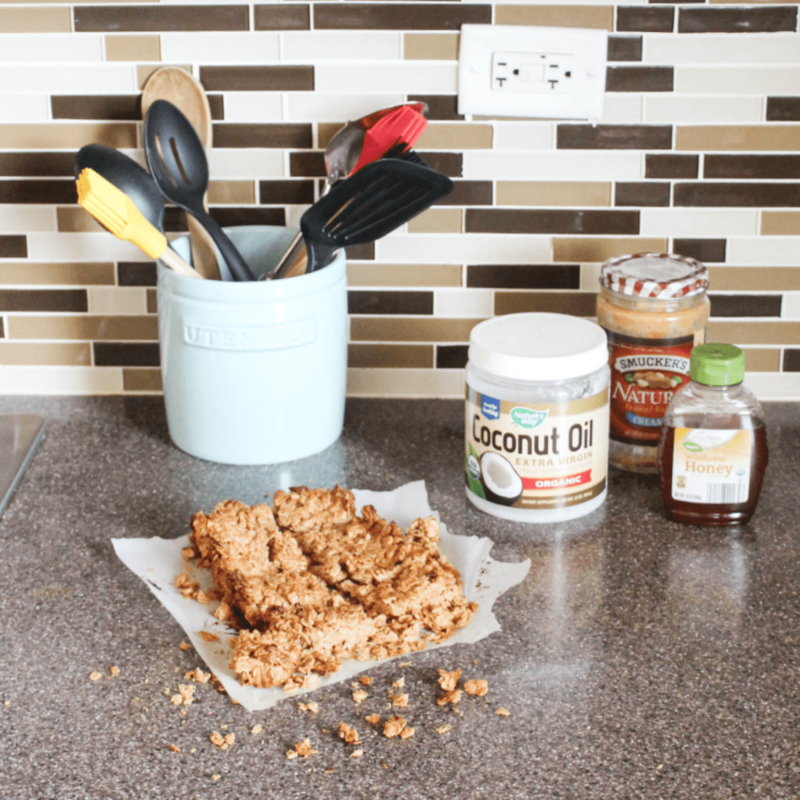 To include in cold rubs: I use coconut oil mixed with Shea Butter to create a quick cold rub for the kids. Whenever they come down with something stuffy, I rub it on their chest and back for relief (always make sure the essential oils are safe for kids). 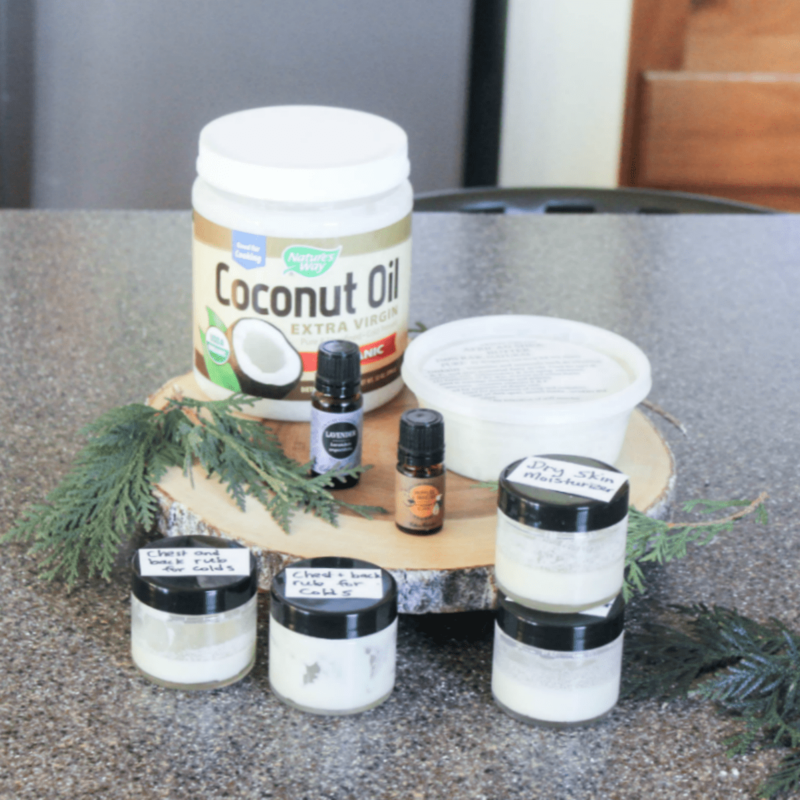 So I know I barely scratched the surface with the uses of coconut oil but if you are wanting to use it around your home, hopefully these ideas could get you started. 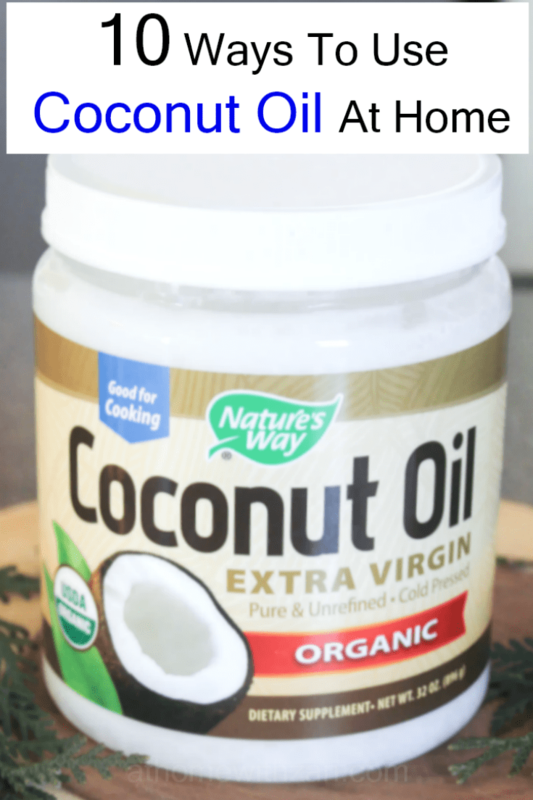 Do you use coconut oil in your home? What do you use it for? I’d love for you to leave your thoughts in the comments below.